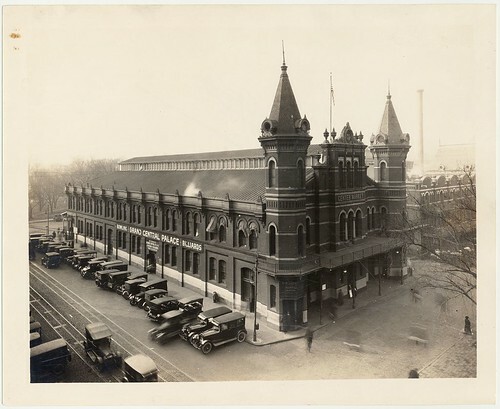 The block where the National Archives is located, bounded by Pennsylvania Avenue, Constitution Ave, 7th Street, and 9th Street, NW, was once the location of Center Market. Designed by Adolph Cluss, it was built in 1871. It was expanded in the 1880s with large wings also designed by Cluss. Open six days a week from dawn until noon, the market had thousands of daily customers. 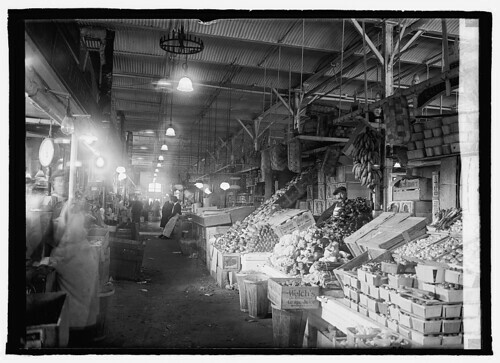 The structure was a model market with good light, ventilation, drainage, and wide aisles. It was razed in 1931. July 21, 1910: In the evening, thousands of people on Pennsylvania avenue unexpectedly witnessed the lighting of the tower at the Post Office building. They were left to wonder about the purpose of the illumination. One observer speculated it was a lighthouse for airplanes. The truth of the matter was that the big arc light was put in merely for the purpose of illumination and to make the high tower beautiful with its glimmering incandescents. 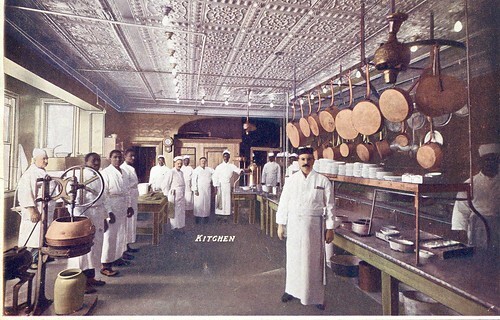 The four-story, iron-fronted building erected shortly after the Civil War on the southeast corner of Pennsylvania Avenue and 11th Street, NW, ended up being the city’s oldest and most famous restaurant for sixty-six years. Though the original structure was built ca. 1820, the building was completely remodeled in 1866 by the Harvey brothers for their restaurant, originally known as Harvey’s Ladies’ and Gentlemen’s Oyster Saloon. The layout of the building was as follows. The first floor was a public bar and restaurant for men. The second floor, accessible by a separate entrance, was the ladies’ dining room. 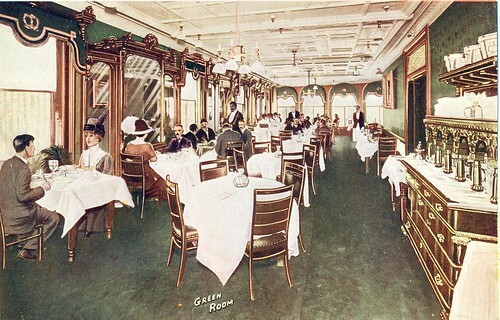 The third floor was private dining rooms. The fourth floor was nothing more than a sham front erected to conform to the cornice line of the adjacent buildings. Harvey’s Restaurant was established in 1858 at the corner of 11th and C Streets, NW, later locating to 11th and Pennsylvania in 1866. From the time of their relocation, they entertained the political and literary leaders of the nation for sixty-six years. 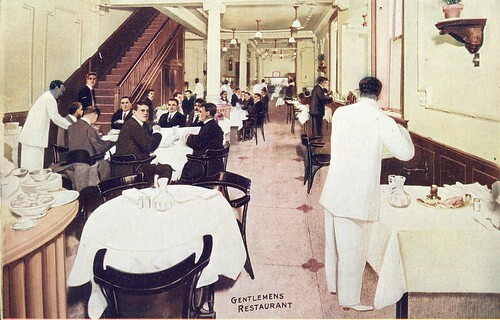 Every President from Ulysses S. Grant to Franklin D. Roosevelt dined in the building. 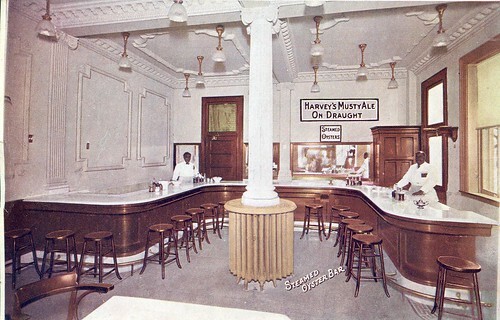 When its building on Pennsylvania Avenue was razed in 1932, Harvey’s moved to Connecticut Avenue adjacent to the Mayflower Hotel. 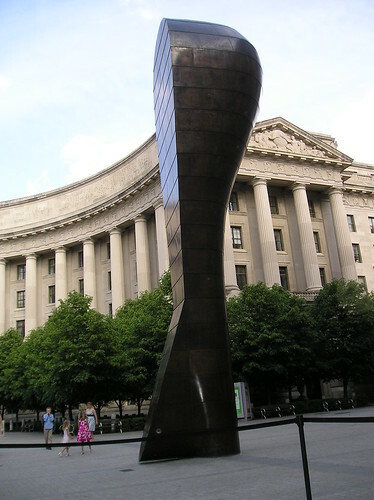 In 1970, it moved to 18th and K Streets when the Farragut North Metro station necessitated the razing of its Connecticut Avenue building. Today, Harvey’s no longer exists in the city.